Get in touch with your senses as Jared C. Balogh’s Rhytms of Life take you on a transcendent journey of emotions and life experiences. Jared C. Balogh is a musician/composer from Bethlehem, Pennsylvania. He’s also a member of the American Composers Forum. He had released numerous albums and have already collaborated with artists like Lezet, Hal McGee, Kawol and The Merricks, to name a few. Started in July 2010 and released last January 10 under Happy Puppy Records, this musical project offers 10 tracks of experimental/ avant-garde songs written in notation or electronic sheet music. First few minutes along the album and you’ll see its heavy foundation in jazz music. 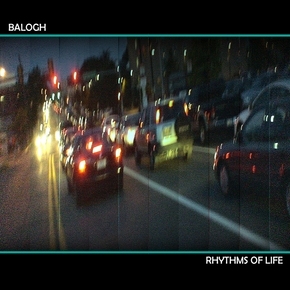 It’s basically a collection of Balogh’s life experiences and emotions of last year, interpreted in ambient musical pieces. Kicking things off is Bridging and Mending which approaches with an uplifting and playful piano ensemble. Witty tunes induce a fun vibe all throughout the track. Experimenting with a classical tune, Provident Winds follows with fast strums that will transport you to images of a prancing ballerinas. The Same Old Traps and Schemes, on the other hand, delves on a more theatrical sonic element. I personally like how Balogh played with all the aspect of every instrument in order to retell a story to the listeners. Tracks like Profound Groove on the Rise, Good Morning Good Evening, and Morning Grind Evening Chill, showcase how the artist enforced no limitation on the possibilities that can be created with his music. Whether its improvising, writing with instruments, or composing in notation on music programs. Overall, Jared C. Balogh’s Rhytms of Life is a very personal album to the artist and also to the listeners as each piece is rooted and carved from real life feelings and experiences. It is a collection that will touch anybody, anywhere in the world.